Dr. Hendin, a veteran himself, became involved with the problems of veterans in a research and treatment project he conducted for the VA that established the high incidence of suicide attempts and suicide among combat veterans of the Vietnam war who had developed Posttraumatic Stress Disorder. In recent years an instrument he developed, that has shown remarkable ability to predict short-term risk for suicidal behavior, was tested successfully at a major VA Medical Center. It is enabling psychiatrists there to identify veterans at risk. SPI has developed a treatment program to prevent suicide among veterans with PTSD who are at risk. Dr. Hendin has done extensive research in the areas of posttraumatic stress disorders in civilians, substance abuse, and assisted suicide. The many awards he has received for his work include the Louis I. Dublin Award of the American Association of Suicidology for "distinguished contributions to our knowledge of suicide." The U.S. Supreme Court cited his work in this country and in the Netherlands in their 1997 decision that there was no constitutional right to assisted suicide and the Lifetime Achievement Award of Suicide Prevention Initiatives. Hendin H: Suicide and Scandinavia: A Psychodynamic Study of Culture and Character. New York: Grune & Stratton, 1964. Hendin H: Black Suicide. New York: Basic Books, 1966. Ulman R & Carr A Adolescent Marijuana Abusers and their Families. National Institute on Drug Abuse, Research Monograph 40, 1981. Hendin H, Haas AP, Living High: Daily Marijuana Use in Adults. New York: Singer P et al. : Human Sciences Press, 1987. Hendin H: The Age of Sensation. 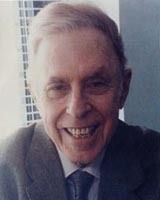 W.W. Norton, 1975. Hendin H, Haas AP: Wounds of War:The Psychological Aftermath of Combat in Vietnam. (New York: Basic Books, 1984). Hendin H: Seduced by Death: Doctors, Patients, and Assisted-Suicide. (New York: W.W. Norton, April 1998). Foley K & Hendin H: The Case Against Assisted Suicide: For the Right to End-of-Life Care, JohnsHopkins University Press, 2002. Hendin H & Mann JJ (eds): The Clinical Science of Suicide Prevention. New YorkAnnals of the Academy of Sciences, 932: 2001. Hendin H: Suicide in Denmark. Psychiatric Quarterly, 34:443-460, 1960. Reprinted in the Collected Award Papers, The Gralnick Foundation, 1966. Hendin H: Suicide in Sweden. Psychiatric Quarterly, 35:1-28, 1962. Hendin H: Black Suicide. Archives of General Psychiatry, 21:207-422, 1969. Hendin H: College Students and LSD: Who and Why? The Journal of Nervous and Mental Disease, 156:4, 249-258, 1973. Hendin H: Marijuana Abuse among College Students. The Journal of Nervous and Mental Disease, 156: 259-270, 1973. Hendin H: Students on Heroin. The Journal of Nervous and Mental Disease, 158: 240-255, 1974. Hendin H: Amphetamine Abuse Among College Students. The Journal of Nervous and Mental Disease, 158:4, 256-267, 1974. Hendin H: Beyond Alienation: The End of the Psychedelic Road. American Journal of Drug and Alcohol Abuse, 1:1, 11-23, 1974. Hendin H, Haas AP American Adolescent Marijuana Abusers and their Families. & Ulman R: International Journal of the Sociology of the Family, 12: 201-215, 1982. Hendin H, Haas AP The Functions of Marijuana Abuse for Adolescents. American & Ulman R: Journal of Drug and Alcohol Abuse, 8: 441-456, 1981. Hendin H: Growing Up Dead: Student Suicide. American Journal of Psychotherapy, 29:327-338, 1975. Hendin H: Student Suicide: Death as a Lifestyle. The Journal of Nervous and Mental Disease, 160: 204-219, 1975. Threatening Behavior, 17: 67-81, 1987. Behavior. pp. 99-117, Vol. 8, No. 2, 1978. Hendin H Psychodynamic and Structured Interviewing: A Synthesis I. Rationale. & Siegel K: Comprehensive Psychiatry. 22:153-161, 1981. & Singer P: Issues of Validity. Comprehensive Psychiatry 28: 40-53, 1987. Haas AP et al: Disorder. The American Journal of Psychiatry. 138:1490-93, 1981. Hendin H: Combat Never Ends: The Paranoid Adaptation to Posttraumatic Stress. American Journal of Psychotherapy, 38: 121-131, 1984. Singer P, et al. : Disorder. Comprehensive Psychiatry, 24: 530-533, 1983. Singer P, et al. : Disorder. Comprehensive Psychiatry, 25: 165-173, 1984. Hendin H Posttraumatic Stress Disorders in Veterans of Early American Wars. & Haas AP: The Psychohistory Review, 12: 25-30, 1984. Disorders. American Journal of Psychotherapy, 37: 86-99, 1983. & Klerman G: Journal of Psychiatry 1: 143-145, 1993. Hendin H: Assisted Suicide, Euthanasia and Suicide Prevention: The Implications of the Dutch Experience. Suicide and Life-Threatening Behavior, 25:193-203, 1995. Hendin H: Selling Death and Dignity. Hastings Center Report, 25: 19-23, 1995. Hendin H: Physician-Assisted Suicide and Euthanasia in the Netherlands: Lessons from the Dutch, Journal of the American Medical Association, 277:1720-22, 1997. Hendin H: Suicide, Assisted Suicide, and Euthanasia, in The Harvard Medical School Guide to Suicide Assessment and Intervention, edited by D. Jacobs. (New York: Simon & Schuster, 1999). & Hendin H: Report, 29, no. 3 (1999): 37-42. & Foley K: Michigan Law Review,106: 8, June 2008. Hendin H, et al. : Recognizing and Responding to a Suicide Crisis. Journal of Suicide and Life Threatening Behavior 31: 115-128, 2001. & Hendin H: Statement, J. Amer Med Assoc 2003:3161- 3166. Hendin H, Szanto K, A Physician’s Suicide, American J of Psychiatry 2003;160: 2094-2097. Maltsberger J et al. : American Journal of Psychiatry, 161: 1442-1446, 2004.